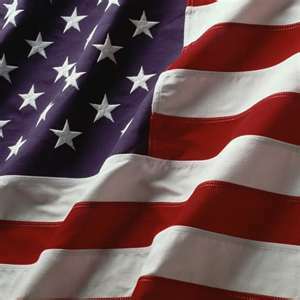 Our PolyExtra flags are especially designed and meticulously crafted to please our most discriminating customers. Our two-ply polyester fabric is specially loomed and dyed to withstand the most demanding weather conditions, counteract the effects of ultra-violet light, and still remain crisp and bright. But they’re not just sturdy. Their embroidered stars, enduring brilliant colors, and finely crafted details make them a beautiful outdoor flag as well. They grandly set the standard with durability and elegance that guarantees their classic status for a long time to come. Our flags are meant to last. We use a combination of the highest quality components and state-of-the-art manufacturing to give you the best looking and most durable flags in the industry. Construction begins with the finest fabrics and color-matched threads available. We then carefully assemble each flag using a full 1/4″ turn on all seams, a chain stitch for all horizontal seams (it makes the flag stronger), and a lock stitch for all edge hems. Fly hems are finished with four rows of lock stitching and a 102 stitch X-box reinforcement at the top and bottom of flags up to 6′ x 10′. Flags 8′ x 12′ and larger feature an X-box at each horizontal seam. And, for the strongest headings in the industry, we use a heavy duty nine ounce material. Check out the hardware! Flags up to 6′ x 10′ feature heavy duty brass grommets, and for flags 8′ x 12′ and above we provide heavy duty chrome D-rings for maximum flying strength. How does all of this benefit you? 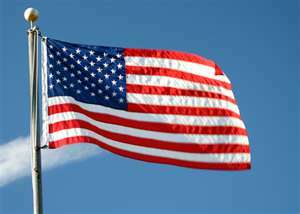 Your FlagSource flag will provide the most attractive and best flying U.S. 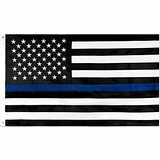 Flag available from any manufacturer in the United States. FlagSource flags make a statement. Because they look better and last longer, they give your business, institution, or home a cost-effective means for displaying your national pride with a great flying flag…for the longest period of time.